Dustin Glendinning Portfolio | Expectations (have your attention). Technology never begins as a villain. It is well-intentioned. Cars were never meant to clog roads and kill people. Television wasn't meant to be a babysitter or mistress. And, at least for a short time, the internet and smartphones weren't meant to have at least a piece of our attention at all hours. And what is attention but an expectation? We give people our attention and listen because we're expecting something of value to be shared (and how much you value that shows in how much attention you give someone). And I think that's the underlying villain of the internet; it wasn't meant to steal our attention. It was intended as a tool. What you expect to happen has your attention. If something is at all an option, it has some shred of your attention. When I'm expecting a package to be delivered, I'm kind of on edge, ready to answer the door all day until it happens. If I'm expecting to have a semi-serious conversation with someone, I can't think about much else until it happens. And so in this same way, we somewhat expect technology to distract us. We know—it is always at least an option—that our technology could alert us at any time that something claims to need our attention. It may actually be urgent, or it may just be an attempt to make something more convenient. Technology has introduced a constant temptation that we should be expecting something. Phone silent switch; make your phone truly silent. To me, one of the biggest expectation we have of our modern technology is that my smartphone could alert me at any moment. A vibration is just as distracting as a muted ringtone. Setting a smartphone to not vibrate when silent can transform it back into just a slab of metal and glass. When a phone cannot make an audible alert, and is face down or in a pocket or different location, you are then psychologically not expecting it to call for your attention. It may take some time to form this habit, but it is a complete shift in expectations. I know this may make one question if this will cause missed calls and messages, and the answer is probably. But that's the point. I admit that this is most useful for me because I have fairly low-urgent commitments in my life at this point, but stop and check how many of the last calls and messages your received needed to be acted upon immediately. I submit that this expectation of immediate attention has only come up in the last 10 years. Or at least the frequency of that expectation. And if you are expecting an urgent message, you can turn it back into a noisy phone with the hardware switch; not having to jump through complicated software setup each time. Once you've removed apps with endless, entrapping feeds in them from your phone, this app (Feedless, app store link) will limit your ability to access those same feeds in the browser. To me, this somewhat transforms social networks into utilities for finding out what your friends share. Instead of scrolling a manipulative feed that a corporation has decided it thinks it knows what you want to see and learn about; you instead can go to a social network that a majority of your friends are using and search for and go to those friend's profiles to find out what they have shared. Just removing the feed as an option reminds me to stop and think about what I want to get from a free service. And full disclosure, there are ways around this content blocker, but just seeing a blank feed at first, makes it a more conscious decision to enter a social feed. I search for most of the apps I need to use. In certain situations I either have decided to or need to keep a specific app on my phone. To limit the expectation that I may "come across" that app on my phone when I'm not actively looking for it, I go one step beyond hiding that app deep in a folder on a different home screen. Under Settings > Siri & Search you can pick which apps are allowed to show up in search. This way, if I'm searching for something that begins with "tw..." I won't unintentionally be reminded that the Twitter feed is at my disposal. And you can see in this screenshot that that search actually pulls up a Twitter list Shortcut I made that will ask me what pre-determined Twitter list I'd like to see. So now I'm going into a social network with a somewhat more specific goal in mind. In iOS, you can edit not just what kind of notifications your email will send your phone, but who will send you those notifications. In iOS Mail.app, go to Mailboxes and tap the "i" button on the VIP tab. There you can select which contacts you want to send you notifications and there's also a link in that setting to customize the type of VIP notification. Similarly, in the iOS Mail.app, from any email you can tap on the flag icon in the lower-left corner and select notify me. Until you tap that icon again and turn it off, you will get push notifications for any reply in that thread. 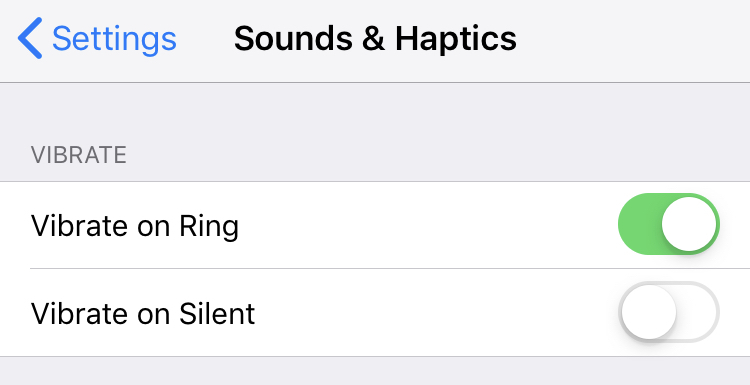 Again, app notifications also respect your phone notification settings, so if the phone is truly silent, you won't see those notifications until you choose to look at the smartphone. I hope this is helpful in some way. At the very least, it helps me to list out what does help me and take record of what my perceptions were at this time. I hope to learn from where we're at and improve choosing what has my attention. I guess this is supposed to be the authority on this topic, and they (are doing) a pretty decent job. Excellent episode on a bit of a different topic. The link jumps to the point in the conversation talking about the difference between social media and the social web. Very well said. I might jump on the bandwagon and read his new book in the near future. Timothy Keller on Twitter: "The things you daydream about in your spare time are often the things you serve."